The Division of Communication Sciences and Disorders offers one of the largest undergraduate programs in the nation, as well as nationally recognized professional graduate programs in Audiology and Speech-Language Pathology. The Division of Physical Therapy professional graduate program also is nationally recognized for its quality. The division also offers a doctorate through the Translational Biomedical Sciences doctoral program. The Division of Physician Assistant Practice, launched in 2015, is located at the Dublin Integrated Education Center on Ohio University’s central Ohio campus. The seven-semester program is designed to prepare students for any clinical setting with an emphasis on primary care in urban and rural medically underserved communities in Ohio and throughout Appalachia. All programs combine rigorous academic training with extensive hands-on experiences in a variety of clinical settings, where students collaborate with future colleagues in multiple disciplines. 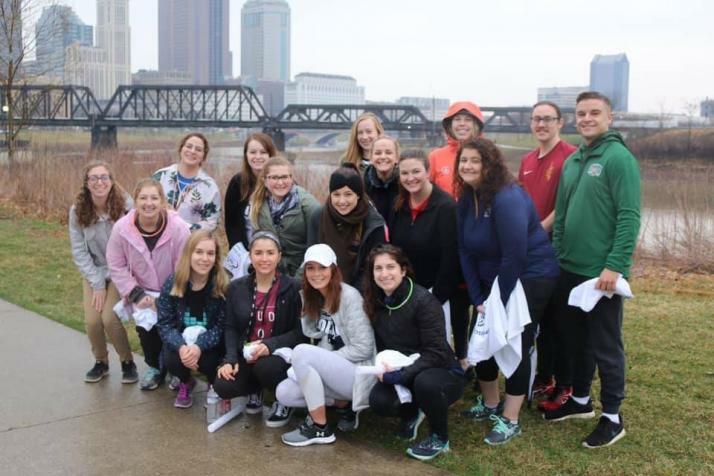 Ohio University faculty, students, and alumni attended the American Academy of Audiology (AAA) Conference; which was held this year in Columbus, Ohio. According to the AAA website, the annual conference and exposition is the world’s largest gathering of audiologists.